Sequin lace blouse available in 5 sizes! 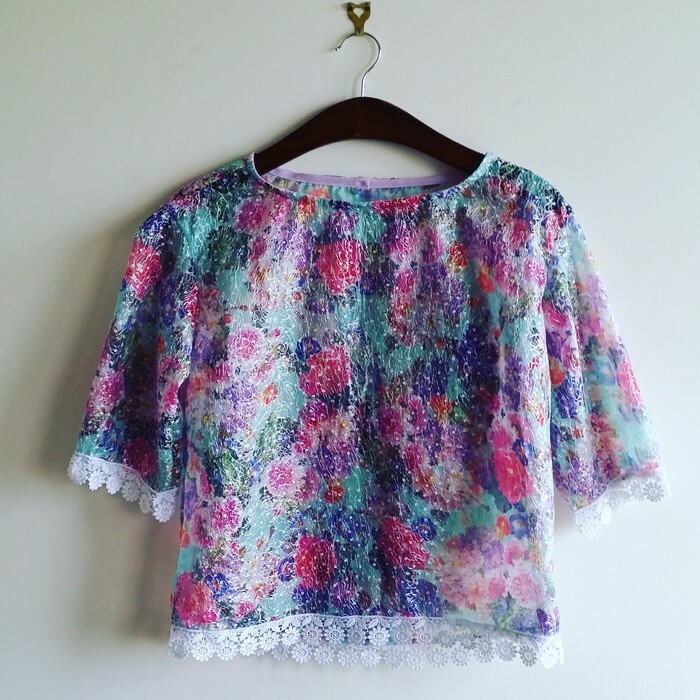 A fun floral blouse made from a textured sequin and lace surface. Available in an Xs! If you would like another size it can be made!